It is a common culinary practice to tie up various large cuts of meat prior to cooking, including chicken, beef tenderloin, pork loin, prime rib roast, and more. 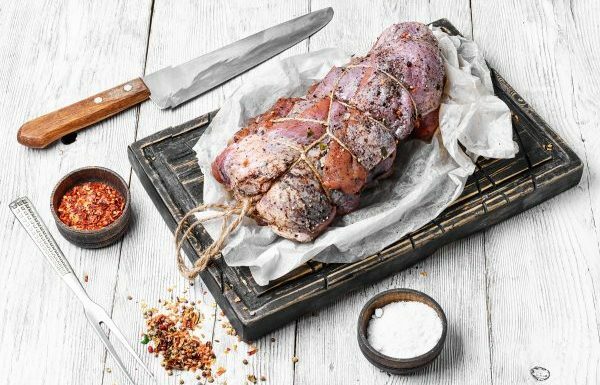 Although it isn’t a must, tying a roast can give your dish the extra “wow” factor you’ve been missing; it can even add a little convenience. In fact, if you give it just one try, you may never go back to your former roast preparation methods! Continue reading to learn when you should tie a roast, and how to do it right! There are several reasons why tying a roast is beneficial. Usually, the reason stems from necessity. For instance, if you are preparing a stuffed entrée, binding the meat will help keep the filing inside during cooking. Likewise, if your roast is greatly misshapen or irregular, tying it up can give it a more uniform look and ensure even cooking. 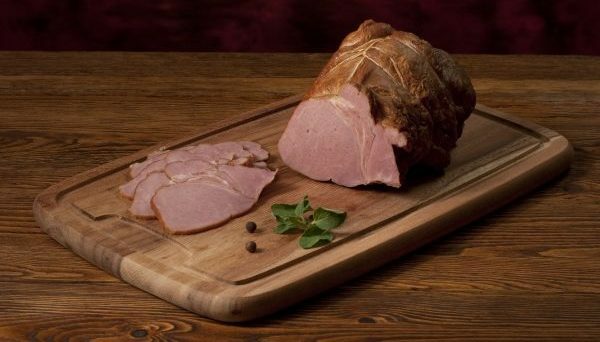 ❶ A Misshapen Roast – Often times, cuts of meat are uneven in shape and girth. Beef tenderloins, for instance, are usually thicker in the middle and thinner at the ends. By binding the ends beneath the roast, you can ensure even cooking and create a more appealing presentation. ❷ A Filled or Split Roast – If you are preparing a roast that has been split down the center and filled with a stuffing of sorts, you risk losing a large amount of that stuffing during the cooking process. By binding the meat together, you can enclose the roast and keep the filling inside. ❸ A Prime Rib Roast – For a truly lovely prime rib roast, many chefs remove the rib bones and tie them beneath the roast to create elevation during cooking without the use of a rack. This allows the heat to cook the roast evenly, all around. When it comes to using a twine to tie your meat, consider a butcher’s twine. Also referred to as “kitchen twine”, these products are made of cotton and grip the meat particularly well. Most culinary professionals use and recommend butcher’s twine. Although you may also use linen twine, it is generally more expensive. Avoid using colored, synthetic, or poly twine; but if you are in a pinch, you can substitute unwaxed dental floss. ➀ Create a slip knot on one end of your roast as the anchor. A slip knot will allow you to adjust the placement and tension of the string while tying up your roast. ➁ Connect the twine to the anchor and begin wrapping it in a series of loose loops around the roast at one inch apart. You may need to shimmy the loops up to ensure you are covering the entire roast evenly. ➂ Once the width of the roast is wrapped, create another piece of twine down the length of the roast, winding around each loop. Pull it tight at the end (do not squish the meat) and then secure it to the anchor knot. Get Great Pork BBQ in Carmel! This entry was posted in Cooking Tips and tagged barbecue dinner carmel indiana, how to tie meat, how to use butchers twine, meat twine, roast tying guide, roasting tips, tie a roast. Bookmark the permalink.